Distribution: South eastern Australia from Port Lincoln, SA to Port Stephens, NSW, and including Tasmania. 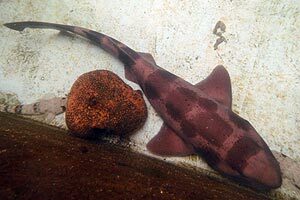 Description: This species of catshark grows to at least 1.5 metres in length and is light brown in colour, with darker brown bands across the head, body and tail. The head is broad, with a flattened snout. Ecology: Although it is common amongst the trawl bycatch off southern Australia, little is known about the ecology of this species. They are nocturnal, hunting molluscs, crustaceans and bony fishes during the night. Interesting facts: These sharks can swell their stomachs with either water or air if disturbed or caught by fishers. 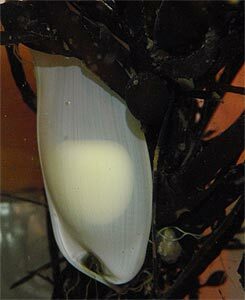 Females lay a smooth, cream coloured egg case, pictured to the right, hatch in nine to 12 months.